Germany’s military is a case study in an armed force in need of new equipment. The problems cut across the Bundeswehr and are particularly acute with the aging air force. Germany’s combat air fleet — around 180 fighters — has around 85 Panavia Tornados with the rest being Eurofighter Typhoons. The 1960s-era Tornados — multi-role and nuclear-capable fighter-bombers — have many troubles. Germany can only fly them for around four months per year due to maintenance needs, and at most around half of them are actually serviceable — the real number may be worse. The air force is behind its Tornado training schedule by three months. 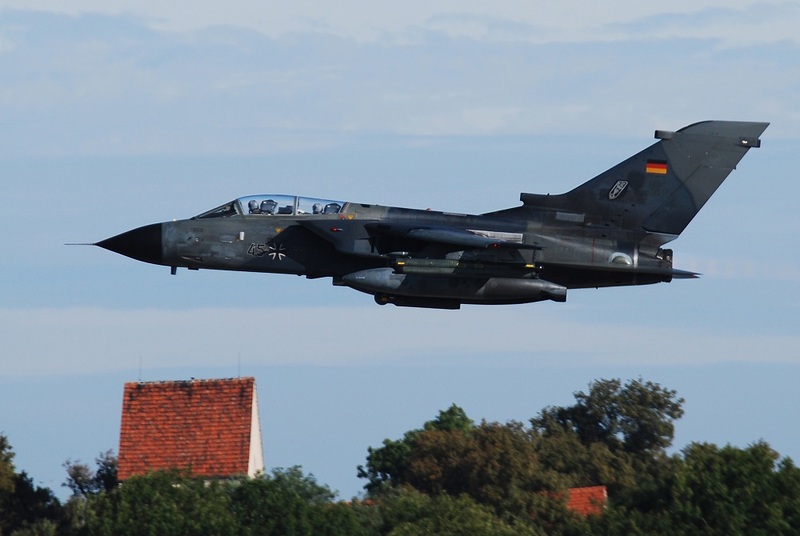 In February 2018, the German air force even temporarily grounded the Tornado fleet because of improperly-mixed fuel. These multi-role fighters need to be replaced. The question is with what. See, the Torando was developed decades ago by Panavia, a consortium of aerospace companies from Italy, the United Kingdom and — what was at the time — West Germany. This is where industrial concerns come into play as Germany mulls a replacement. And because the United States also wants to play a role. On April 24, 2018, the U.S. government bid on the Tornado replacement project on behalf of Lockheed Martin and Boeing. Lockheed manufactures the stealthy F-35 Joint Strike Fighter, while Boeing has the F-15 and F/A-18 fighters. Germany is reportedly considering one of these warplanes or the Eurofighter Typhoon, which is developed by a European consortium. The problem is that Germany also wants to develop a successor to the Eurofighter with France. If Germany goes ahead and buys the F-35 instead, that project is dead in the water. “As soon as Germany becomes an F-35 nation, all cooperation with France on combat jet issues will die,” Airbus Defense CEO Dirk Hoke recently told Die Welt. Germany has several good reasons to buy more Eurofighters. For one, it already flies them. Per airplane, the Typhoon is actually rather expensive for a fourth-generation fighter, but the total lifetime cost for the fifth-generation Joint Strike Fighter is likely higher. On the other hand, the F-35 is stealthy, and the Eurofighter is not. Then there is the nuclear issue. Germany does not possess nuclear weapons, but is part of a NATO nuclear-sharing pact dating to the Cold War, which means that some of its fighters — in this case, some of its Tornados — are capable of carrying nuclear weapons presently in the form of the U.S. B61 thermonuclear gravity bomb. The United States keeps 20 of those stashed at Germany’s Buechel Air Base near Luxembourg. So Germany is on the hook for a nuclear-capable fighter — and some of the F-35As entering service will be able to deploy the B61s. “However, the Typhoon meets neither of these criteria,” Dan Goure of the Lexington Institute wrote at Defense News. The Lexington Institute has received funding from U.S. military companies including Lockheed. 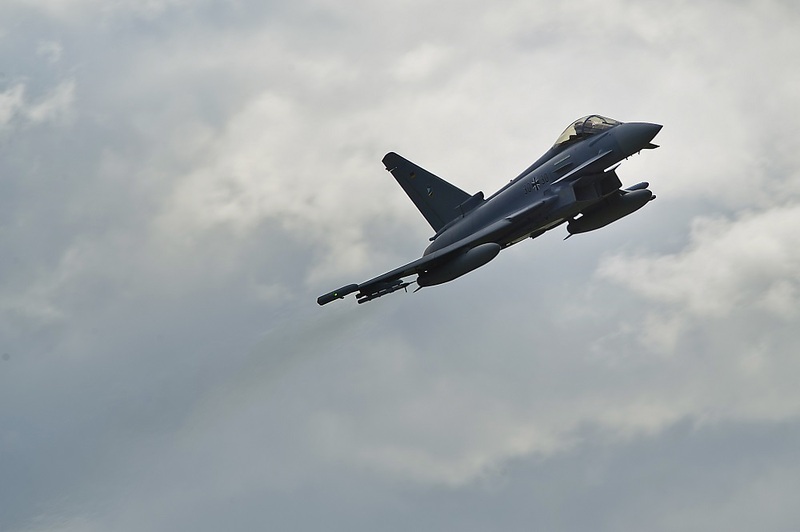 “Designing, testing and certifying a nuclear-capable Eurofighter variant would take years to develop and add hundreds of millions of dollars to the already high cost of this aircraft,” Goure added. That is all true — and it would take the better part of the next decade to do it. But alternatively, Germany could simply pull out of the nuclear-sharing agreement with the United States when the Tornados retire — a move which would have popular support in Germany, and is a goal the governing center-right Christian Democrats have sought to achieve. Or Germany could keep flying the Tornados for a bit longer, past the 2020s. A decision to buy nuclear-capable F-35As or not also comes with industrial considerations. Telling Lockheed to buzz off, and building a fifth-generation fighter with France, keeps jobs — highly-skilled engineering jobs at that — in Europe.